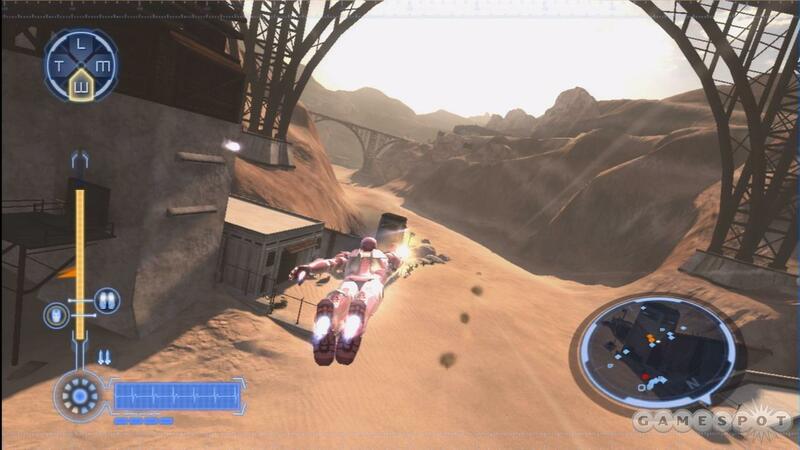 When the original Iron Man hit theaters in 2008, publisher Sega launched an Iron Man game across every relevant gaming platform at the time. It would mark the first time that an Iron Man game would be released for a home console (not counting handhelds) where the hero would have solo title billing (the character would first share dual billing with the Valiant character X-O Manowar). 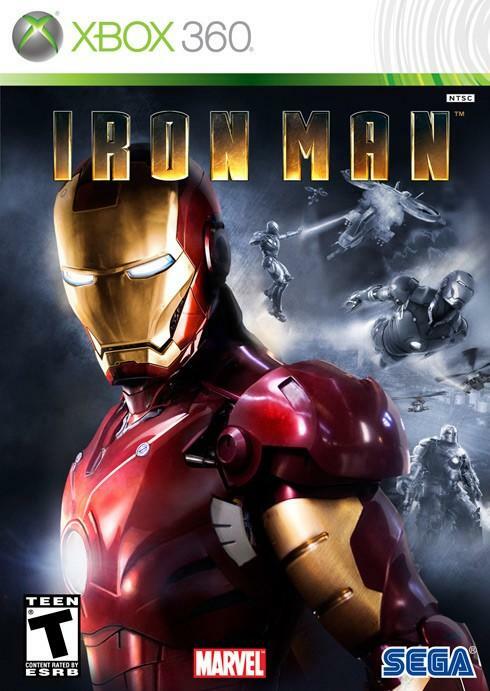 Developed by Secret Level games, Iron Man for the current generation consoles follows the plot of the film of the same name while adding sub plots to increase the game length and to add other members of the characters rogues gallery like A.I.M, Titanium Man, and the Maggia crime syndicate. 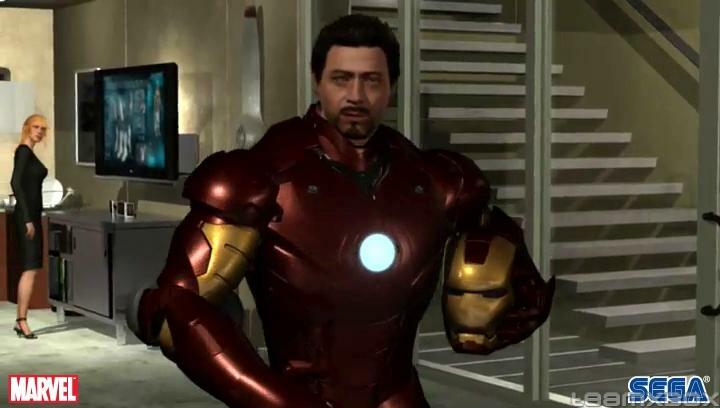 This would be the only time Robert Downey Jr. would lend his voice to the tie-in video games, though he voiced Tony Stark but not Iron Man. Other cast members to lend their talents would be Terrence Howard as Col. James Rhodes and Shaun Toub as Ho Yinsen with other characters like Pepper Potts and Obidiah Stane being performed by talent sound alike actors. Iron Man never received must praise from anyone when it was released, but upon looking at both the PS3 and Xbox 360 editions of the game for this review I don’t think the game is as bad as the low review scores let on. In fact, if this game didn’t have to be rushed to meet a deadline I think it could’ve been a much better product. The best game I can think of to compare Iron Man to would be the Rogue Squadron games for the N64 and Game Cube, with the main difference being you pilot a man in a suit instead of a star fighter. Each level tasks you with flying around a large open area to eliminate “X” number of targets or to defend a certain structure. Much like the Squadron games, or even games like Goldeneye 007, each level has optional objectives that aren’t necessary but add some replay value. You are challenged with destroying a certain amount of enemies within a level, beating a level or a certain amount of time, or completing an optional hero objective. The hero objectives add a nice twist to the game and change by level. In one stage, you have to defeat Titanium Man but he keeps recharging his health by using the city public power grid. You can destroy the recharge stations to make it easier, but you are reminded by your colleagues that doing so will affect city power supplies and hospitals. Successfully finishing the optional objectives reward extra funds for upgrading your abilities between missions. One of my favorite mechanics in the game is the ability to allocate power to various suit functions. During any level, you can use more power to certain functions depending on the situation. If you require more defense or weapons, you move power to shields and weapons, or if you need to get to one side of the map quickly, you put everything into the thrusters. The final area is melee, but it’s something that’s rarely useful through the course of the game. Being able to allocate your power does a lot to make you feel like Iron Man, and it’s really satisfying to hover in the air, power up your boosters and then zip to another area of a level to then switch power to your weapons to let loose on some enemies. This is something that’s missing from the sequel Iron Man 2, and it’s a real shame. Should there be another solo Iron Man game for consoles, I would like to see this further developed. While I do like Iron Man, I’m not blind to the games many faults. The graphics, especially in the human character models, are not much to write home about, and the game is incredibly short. There’s also a mid-game protection mission that is really frustrating, and caused me in my first playthrough of this game in 2012 to move the game back to easy. In the mission in question, Pepper Potts is taken captive and the facility she is in is under attack. Also around the map is several towers that can help raise a shield to boost the facilities defenses and these also come under attack. All the while this is going on, you’re getting constant messages from JARVIS about what’s under attack, and if it had connect support, it would probably recognize me saying “STOP TELLING ME AND LEAVE IT ON THE SCREEN!!!”. It’s also disappointing that while you can unlock other armors (like the Extremis, Hulk Buster and Silver Centurion) you can only use them in levels you’ve already completed. The way to go about getting them is rather tedious. Upon playing the game, you unlock missions called “One Man Army” where you simply go into an arena and shoot the required number of targets. These levels go on a bit too long, and do not pose much of a challenge. In the special features of this game is a short video documentary filmed by Victor Lucas (of G4TV fame) with the staff talking about their passion and excitement for the game and you can see that in the final product if you look close enough. Unfortunately like a lot of movie games, Iron Man was rushed to meet a deadline and whatever polish would’ve made the game memorable simply wasn’t applied. I would encourage anyone with a passing interest in the film or character to at least complete the campaign on easy, and I’m sure the game will not set you back much. If you have both consoles, I did prefer playing with the Dualshock 3 controller more, but the PS3 version lacks trophies if you’re into that sort of thing.